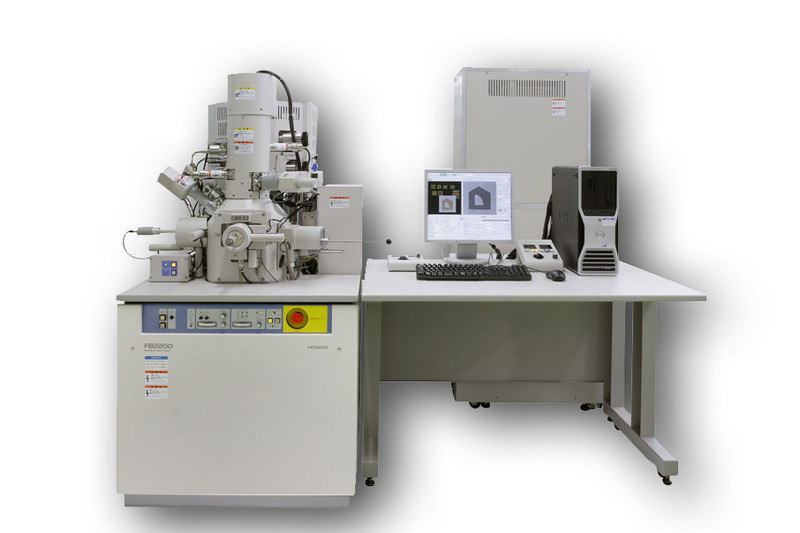 The dedicated single-column FIB system incorporates a gallium sourced high accelerating voltage of 40kV allowing a high current density ion beam to realize rapid and precise specimen preparation for both transmission and scanning electron microscopy. The system also runs at very low accelerating voltage for minimizing Ga ion implantation and the removal of amorphous material. Both SEM and TEM stages are available, and a variety of holders including air protection, cryo cooling, 3D analysis holders are available. Holder compatibility with Hitachi SEMs and TEMs realizes QTAT and ease of use.